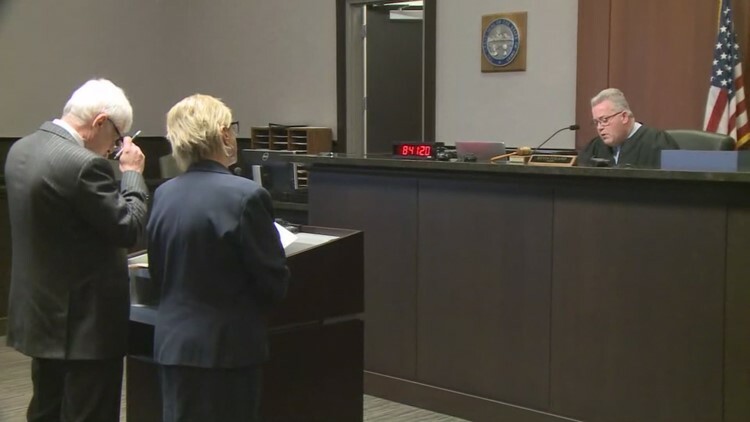 KENT, Ohio — Portage County Common Pleas Judge Becky Doherty found herself on the other side of the gavel Friday morning as she pleaded guilty to operating a vehicle while under the influence of alcohol. – No alcohol or drug-related offense for two years. – Complete a 72-hour DIP school within 90 days and follow their recommendations. Doherty was given 10 days with no driving privileges before she can apply to drive for work, medical appointments, the DIP program and four hours per week “for necessities.”Sign up for the daily Top 3 NewsletterThis email will be delivered to your inbox once a day in the morning. Following the court hearing, Doherty briefly spoke with reporters.